1-23 is out of 48 spacecrafts! but great for Space Renders. 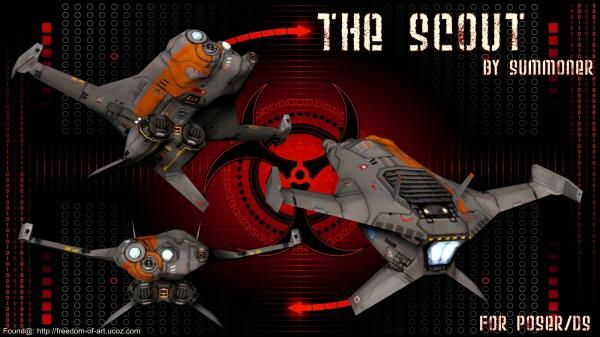 The Scout comes as a Static Figure and Static Prop. Yes. The (Fan Art) is handy. Thank you for your super amazing work! bsperan (2 years ago) Inappropriate? Thank you for the reply and explanation. "So I always mark all my Products as Fan Art no matter what it is as it always could be that it already is a existing thing to avoid any Confusions." To always mark all your products as Fan Art could more …Thank you for the reply and explanation. Summoner65 (2 years ago) Inappropriate? bsperanI'm confused... What do you mean by "Fan Art"? or a Model that you seen in a Movie. If you make a Camera and put a Canon text on it it would be fan art. So I always mark all my Products as Fan Art no matter what it is as it always could be that it already is a existing thing to avoid any Confusions. I'm confused... What do you mean by "Fan Art"? realart (3 years ago) Inappropriate? Rbug02 (3 years ago) Inappropriate?